Table 24 Restaurant Now set for you! Click here to submit your own Table 24 Review! "I can not say enough about our experience at TABLE 24. I have lived coast to coast for the last 20 yrs of my life...enjoying every type of food from cities like Seattle, San Diego, and Tampa, just to name a few. To find a restaurant of this caliber in the small town of Rutland, Vermont is a surprise." 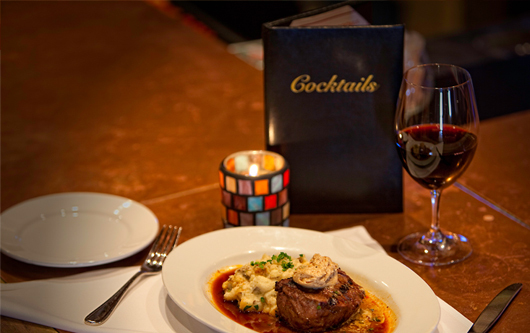 "There is something for everyone in menu and the atmosphere which is very casual yet upscale. Love the rotisserie chicken and beef dishes, creative salads and fresh fish. The ingredients are fresh and the food is homemade unlike the more popular family-style chain restaurants in the area. It's Grandma's favorites with creative flavors, spices and side dishes." LOGO BY: LMW Design, Inc.